Happy New Year guys! Welcome to my first blog post of 2018. I have been so busy with the holiday period and trying out some exciting new things for you guys, but i am back with a new treasure tress box review. 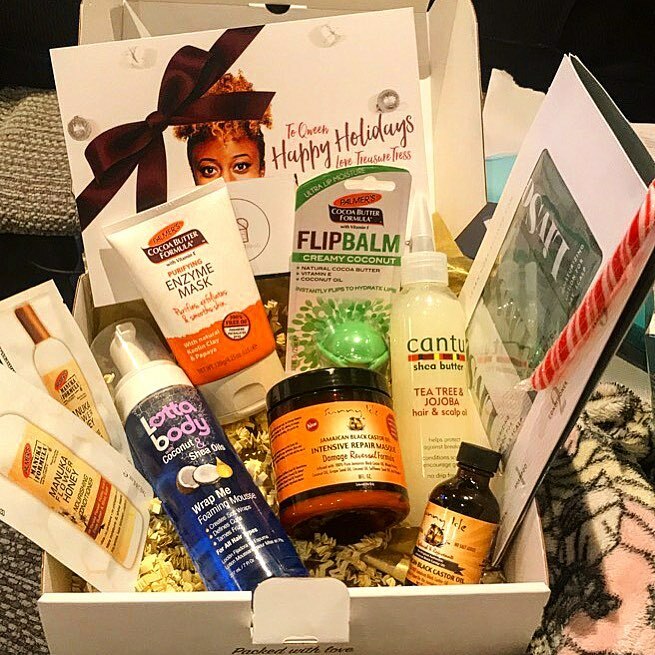 This months box included more great products for hair and they even added some extra goodies to treat your skin to some TLC and a candycane to keep your sweet tooth happy. "Creates soft wraps, defines curls, tames frizz, for all hair types." I have tried Lotta body before, and if you have read my blog posts before you will remember i did a review of the setting lotion. (click here and refresh your memory). I love the smell of this product, it literally smells good enough to eat! I haven't had a chance to try this one out enough to say if i would purchase it again, and i am not usually into hair mousses. I will say however that i don't have anything negative to say about this product. It is non sticky and it definitely did define my curls. I have used mousses which i have had bad experiences with (hence me not using them in my routine usually) but i didn't find anything wrong with this one. If you are a mousse person than i would recommend this one, i just aren't one of those people. "Purifies, exfoliates & smooths skin. With natural Kaolin Clay & Papaya." I love that skin care has been included in this box. Nothing better than double masking with a face and a hair mask together in the bath. I think that this face mask by Palmer's Cocoa Butter mask is one of my absolute faves. It leaves my skin feeling soft as a babies and i have been using it 1-2 times a week since getting it. I like to use a foundation brush to brush it on my skin in a nice even layer, sit back and relax for 10 minutes and then use a wet sponge or cloth to remove it. I follow this up with a night cream. I will definitely be buying this mask when i run out, it is in my top mask collection. In winter my skin dries out so much and the harsh weather plays havoc with my eczema. This helps to purify my skin and keep it super smooth. "The original authentic Jamaican black Castor oil. The only Jamaican black Castor oil approved for export by the Jamaican government." Castor oil is one of my top 3 oils that i HAVE to have in my collection. It is so important for hair growth, and as someone who suffers from Alopecia, i can not not have it. I was very excited to see that treasure tress had included this bottle of PURE JAMAICAN BLACK CASTOR OIL by Sunny Isle was in the collection. I have plenty of products which contain Castor oil, but having a bottle of pure form is a must. I massage a small amount of this into my scalp 1-2 times a week as well as keeping up with my other oil scalp massages (so everyday Castor oil is on my scalp), or i mix it in with my water spray mix. My hair is so much fuller! I get so many people mention how much bigger it is, and my alopecia? Hardly noticeable right now. "Damage reversal formula. Stimulates hair growth, hydrates, repairs dry, damaged and brittle hair. Excellent on all hair types." Another Jamaican black Castor oil product from Sunny Isle, and what has been my life saver this past month! This mask is so hydrating, and in the UK at the moment we have had some crazy weather. From snow, to bad rain and wind, it has played havoc with my 'fro. 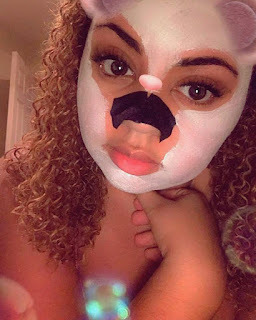 I have used this mask weekly, (one week i used it twice a week as i teamed it up with a hair steamer for deeper penetration) and each time i have been left with softer, bouncier curls. I will buy this mask again for sure. Its left my hair not just feeling softer, but looking it too. It smells super fresh as well with that smell lingering in your hair. My top ways to use this both include heat. I used it with a thermal conditioning cap, and a hair steamer and i found that the results were a little better than when used alone. "Helps protect against breakage, conditions scalp to encourage growth, no drip formula." I was the most excited for this product. I am a huge Cantu fan, and i have been eyeing up this oil for sometime. Curly bloggers such as UK Curly Girl and others, have mentioned using Jojoba oil in their routines, but i have never used of it before. What i love about this oil is the bottle. It is a nozzle which means it is so much easier to use and doesn't leak out everywhere leaving you with too much of it on your hair. A greasy head never looks good. It has that amazing Shea butter smell that the rest of the products have and again, i have been using this in my routine this past month and my hair growth is just amazing. I don't think in length but definitely in volume at the moment. This oil is quite a thick one tho, more lotion than the usual consistency of some hair oils which are runnier, but this just means that you use so much more less. I like this one for a morning scrunch session. As i sleep with my hair down, sometimes i wake up to it being a little flat on one side. I get a little of this onto my parting and fluff it. This months box also came with some samples. First up i got 2 of the Palmer's Manuka Flower Honey conditioner. I used to get the conditioner all the time and i do actually like how this leaves my hair feeling. I will be saving these samples for trips away. They are perfect for saving you bringing full bottles and weighing your bag down even more. The other samples, were a set from Livso. It included a 3 step system with a Shampoo, conditioner and a lotion. I haven't heard of these before, and was a little weary about using them, but as i was going to be deep conditioning and steaming my hair, i took the risk. The shampoo was actually great. My hair didn't feel like straw at all, and after using the conditioner as well, my curls looked great. I am going to look into this brand a little more and see pricing etc, but i think i would get these in the future and would definitely love to try more from them. My curls were very happy! Top video: Using the Sunny Isle hair mask and a hair steamer. Bottom Video: My hair after being washed with Livso shampoo and conditioner and then deep conditioned with the same Sunny Isle hair mask. This time round my hair was pre-pooed with Castor oil also. 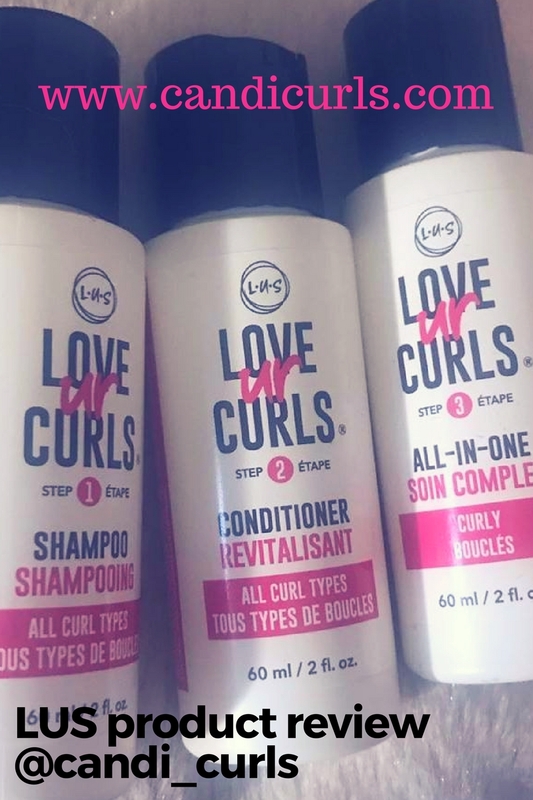 It was styled with mixed chicks hair products which are reviewed on a previous blog post.